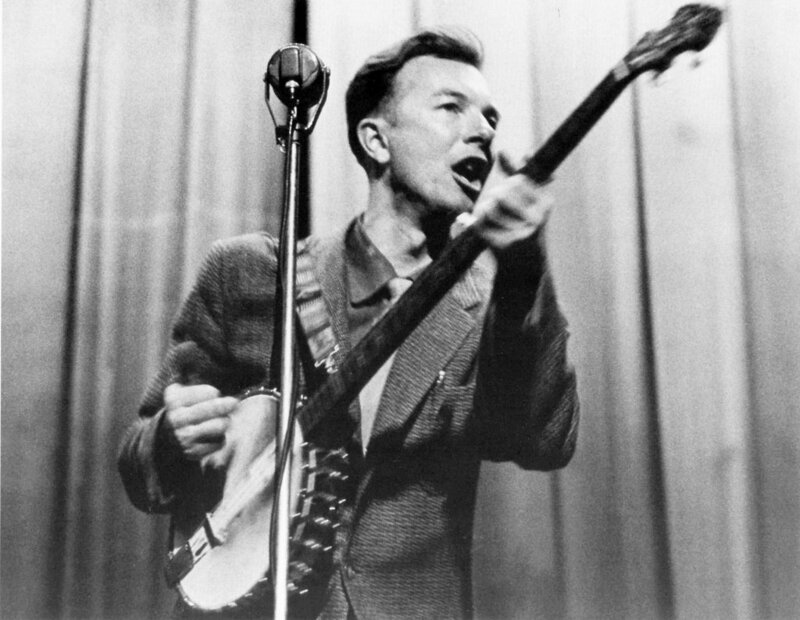 Pete Seeger could hardly be called naïve. In his epic folk music career, he sang for the oppressed – whether they be exploited workers or African Americans suffering under racial segregation – and against war. He paid a price, too: His college days joining of a Communist organization led to later blackballing of his music, and he refused to sign a loyalty oath in order to appear on Hootenanny, a major vehicle for musicians in its day. I imagine Seeger could make his case. Sure, big money still seems to rule the world at the expense of the poor, and war seems interwoven with the human condition, But the man who popularized “We Shall Overcome” – back when some didn’t believe civil rights activists would manage to do that – lived to perform in the inaugural celebration for of our first black President. Naturally, reading Seeger’s statement about the positive story made me think of Visionaries, a production company devoted to telling positive stories of people making a difference in the Third World. The series resists “flies in the face journalism” – the attempt to move by making people objects of pity. Narrated by Sam Waterston, the hands-on work of fundraising, producing, directing and reporting are done by globetrotting journalists and photographers, among them two people I’m fortunate to have as colleagues, producer/director Jody Santos and director of photography Bruce Lundeen. Jody, who utilized Community Service Learning at Assumption College before moving to Springfield College, has been to five continents in pursuit of such stories, which you can watch for free on the Visionaries site. Bruce, who often teaches at Assumption, has been her photographer on many (perhaps all) of those adventures. Jody, who incorporated service learning into her courses during her time at Assumption College, has built a multimedia journalism career that includes print and radio, as well as a book, Daring to Feel: Violence, The News Media, and Their Emotions. The book argues against striving toward the illusion of an objectivity that is not only false, but an impairment to responding appropriately to stories. Enough said – and yet, as Seeger or Santos would remind us, there’s always another story waiting to be told. Jody Santos gives a child in Kenya a peek at her computer. Thanks, Matt! I was sitting in a coffee shop a few weeks back and thought, “Hey, there’s Matt!” … then remembered I was in Tuscaloosa. So you’ve got, well, not a doppelganger, but a guy who looks vaguely like you from certain angles wandering around Alabama. Thanks for capturing some moments and celebrating Seeger’s life. Great connections! Thanks, Deborah, and so good to have met you. Feel free to look me up on Facebook if you’d like.